Free-flow prosecco, a pampering session, shopping and prizes: you’re invited to our next Girls’ Night Out. UPDATE: Thanks for joining us at Girls’ Night Out! 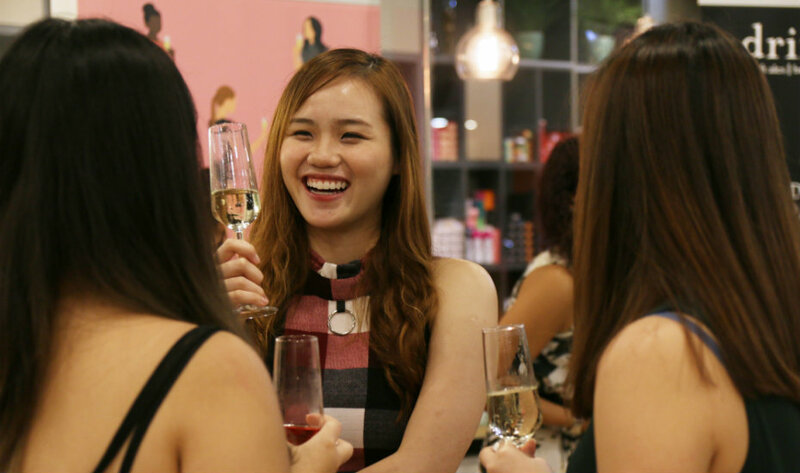 We had a blast mingling with you fabulous ladies over canapés and prosecco – and of course, a fantastic pampering sesh. Check out this video for the highlights, and keep your eyes peeled for more exciting Honeycombers events. Thanks for joining us at Girls’ Night Out at Marina Square! We had a blast mingling with you fabulous ladies over canapés and prosecco – and of course, a fantastic pampering sesh. Check out this video for the highlights, and keep your eyes peeled for more exciting Honeycombers events. 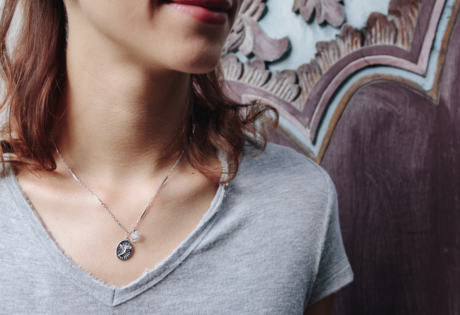 We know how to have a good time here at Honeycombers, and ladies, we also know you don’t need any excuses to treat yo’ self. 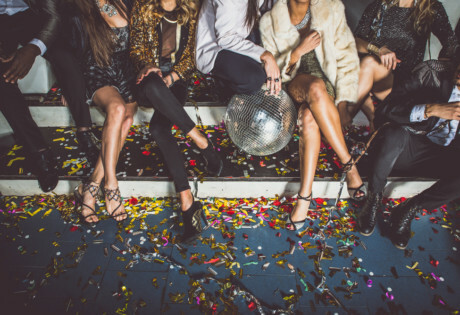 If you’ve been to one of our fab Girls’ Night Out events, you’ve seen we always bring it with the free-flow, great bites and all-round fun with pampering sessions and prizes – with some sneaky shopping thrown in, of course. This time we’re taking things to the next level by teaming up with one of Singapore’s most vibrant shopping and dining meccas, Marina Square. You’re invited to Honeycombers presents Marina Square’s Girls’ Night Out – hosted at swish boutique hair salon, Kimage! Lock Wednesday 25 October in your diaries and round up your friends for one fab night – be quick to book your tickets: this is an exclusive event for ladies (sorry guys) with a special early bird rate of $30! What have we got lined up? Free-flow prosecco (Pitars Cuvée Prestige NV) courtesy of Drinks & Co! PAMPERING! Choose from either one blow dry from the lovely team at Kimage, an express mani with Pixie Nail Spa or express massage thanks to Kenko Wellness (select your treatment when you book your ticket below). One of our famous goodie bags valued at over $100, which includes a complimentary tote bag and hair treatment from Kimage, Korean Skincare lotion and Face Mask Kit from The Plant Base, Prevage Serum and White Tea Fragrance by Elizabeth Arden and Marina Square shopping and dining vouchers. 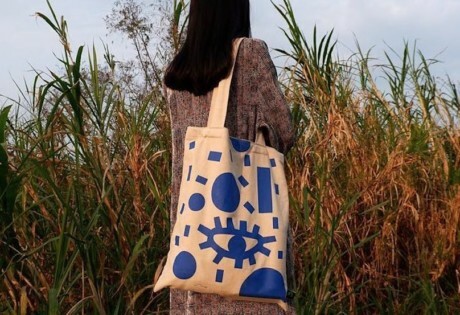 Shopping (everyone needs this in their lives!) with Nomination Italy. Fab prizes to be won on the night – shhhhh! Tickets are limited – ladies only! 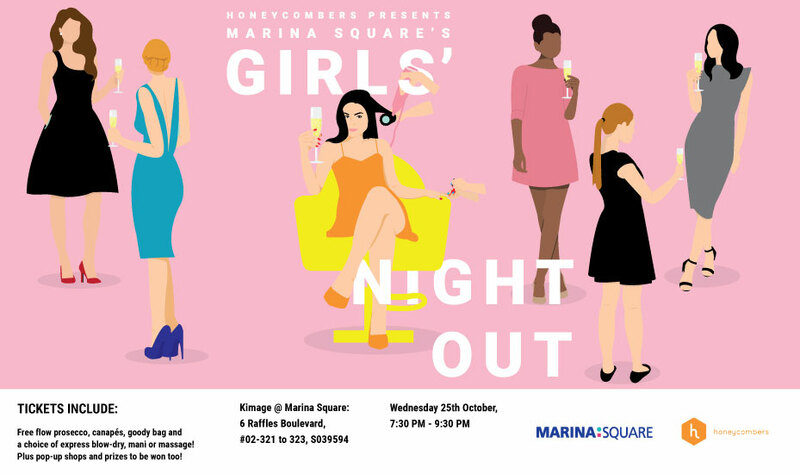 Book your tickets to Honeycombers presents Marina Square’s Girls’ Night Out! 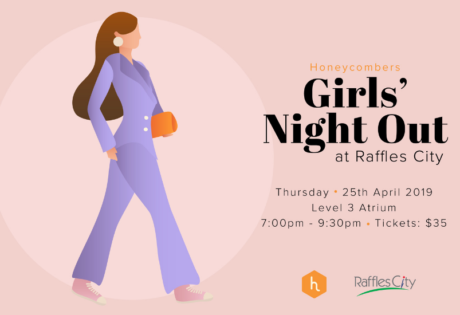 * Please note that by registering for Girls’ Night Out, your details will be added to the Honeycombers database and may be shared with the participating partners for this amazing event. Not a subscriber to our awesome weekly updates yet? Join Club Honeycombers now.